This is a good tasting dish which is suitable for all the family, from toddlers to grandparents. 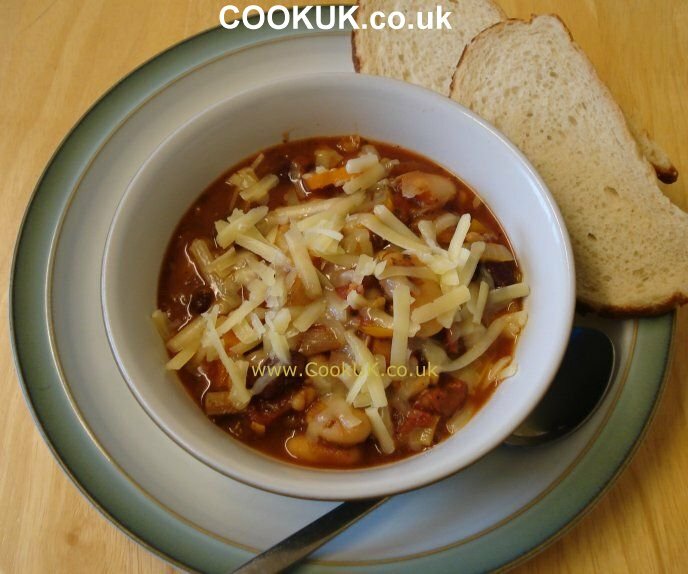 Any combination of tinned beans of your choice can be used. Chop the onion, carrot and leek. Crush the garlic cloves and dice or slice the pepper. These are the ingredients that we used for our recipe. You can use whatever vegetables or tinned beans of your choice. 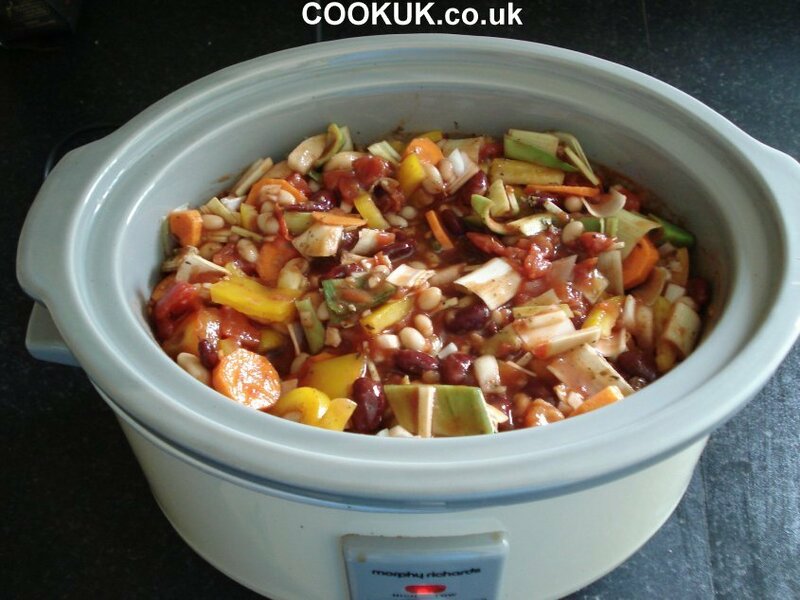 Put all the ingredients and herbs of your choice into the pre-heated slow cooker and cook on high for 2 hours. Turn down the cooker to low and cook for a further 4 hours or until all the vegetables are cooked. Sprinkle with grated cheese and serve immediately with fresh crusty bread. You can also cook this in the oven as per the following instructions. Add a tablespoon of olive oil to a large saucepan and cook the onion, garlic, leek and pepper until soft. 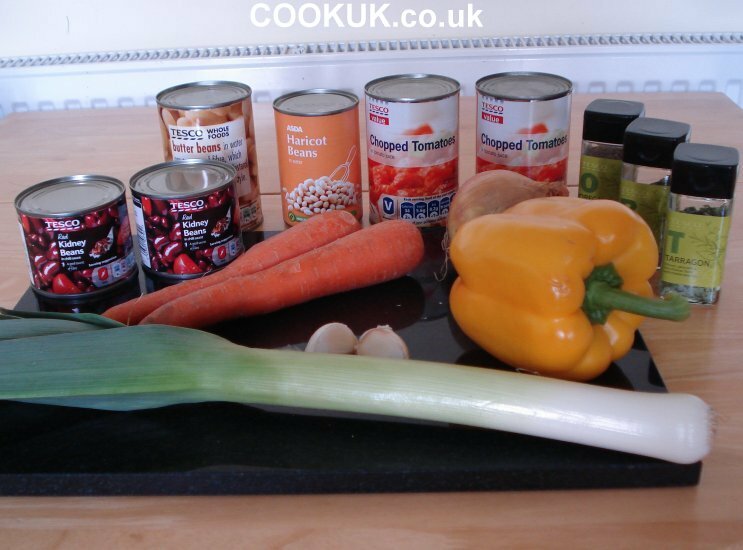 Add the carrot, tinned tomatoes and the beans, mixed herbs and season to taste. Cover and simmer for about 30 minutes, put into a casserole dish and sprinkle with grated cheese. Put into the oven at gas 5 /190c for about 10 minutes until the cheese is brown.